EARL'S patented EZ (ROLLER) BEADER is a fresh approach to an old problem. In order to securely attach rubber water hose to rigid aluminum tubing, the end of the tubing must be beaded. 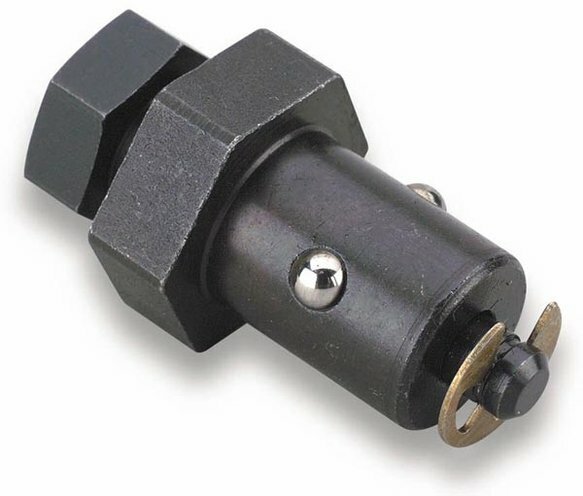 Generations of racing mechanics have used military surplus Parker beading tools to do the job. We probably sold more of them than anyone. Unfortunately production ceased after WWII and the surplus kits have been scarce for over a decade. Compact enough to be used on already installed tubing, Earl's EZ-BEADER produces a properly positioned and perfectly radiused bead on aluminum tubing with wall thicknesses from .035" to .065". This is one tool that no serious racing mechanic can afford to be without.